Wingu Inc., a developer of software designed to enhance the operational efficiency of pharmaceutical research and discovery, today announced a Series A round of funding led by Google Ventures with additional investment from Borealis Ventures. The investment will allow the company to accelerate its growth and expand its sales and product development efforts. “Wingu has created a product that will increase the speed of drug discovery, simplify the process of research team cooperation, and centralize project management." Pharmaceutical companies continue to embrace distributed research, engaging a variety of partners to help develop the next blockbuster drug. Wingu’s software optimizes R&D by tracking and coordinating complex distributed research projects that require tight integration between pharmaceutical companies and partners. Unlike other approaches to portfolio and project management, the solution complements collaboration dynamics by linking data exchange to workflow without increasing administrative overhead. Wingu’s software helps managers understand and respond to inefficiencies in their current projects, build institutional knowledge, and proactively optimize new projects. It also exposes objective performance indicators and analytics that help guide decision-making processes without interfering with project flow. The company calls this approach Research Intelligence (RI). Wingu’s software is already in use at a variety of organizations, including several top 10 pharmaceutical companies. This round of funding will be used to accelerate Wingu's development efforts in its Cambridge, MA corporate headquarters. The investment will also help the company expand its existing customer installations and develop new opportunities. "Our investment in Wingu was driven by our belief that drug discovery can be radically improved with tools that enable distributed research,” said Matt Rightmire of Borealis. “Wingu's founders, Nick Encina and Brian Gilman, have had previous success in the life sciences industry, and their deep understanding of the technology and market will make Wingu a strong partner to the leaders in this space." 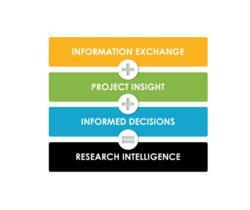 Wingu developed the concept of Research Intelligence (RI) and will be first to market with a solution specifically designed to increase the pace and effectiveness of distributed research. Currently, a beta version of the Wingu solution is being used by leading pharmaceutical companies to make faster, more informed decisions. Founded by scientists and engineers and based in Cambridge, MA, Wingu is defining the new speed of science. For more information, please visit wingu.com. Google Ventures provides seed, venture, and growth funding to promising entrepreneurs across all industries. Founded in 2009, Google Ventures has extensive entrepreneurial experience; deep technical knowledge; and expertise in building high-growth, scalable enterprises. The firm’s Design Studio, Marketing, Recruiting, and Engineering Teams help its portfolio companies solve their most challenging real world problems. The Google Ventures Startup Lab is a dedicated facility and educational program through which entrepreneurs can meet, learn, work, and share from industry leading experts. The firm will invest more than $1B over the next five years. Among its 100+ investments are Nest, Kabam, HomeAway, SCVNGR, Airtime, and Whaleshark Media. Google Ventures is headquartered in Mountain View, CA with offices in Cambridge, MA, Seattle, WA, and New York, NY. For more information, visit http://www.googleventures.com.